In My Kitchen is a wonderful monthly series hosted by Celia from Fig Jam and Lime Cordial. Head over to her blog for a full list of the participants. 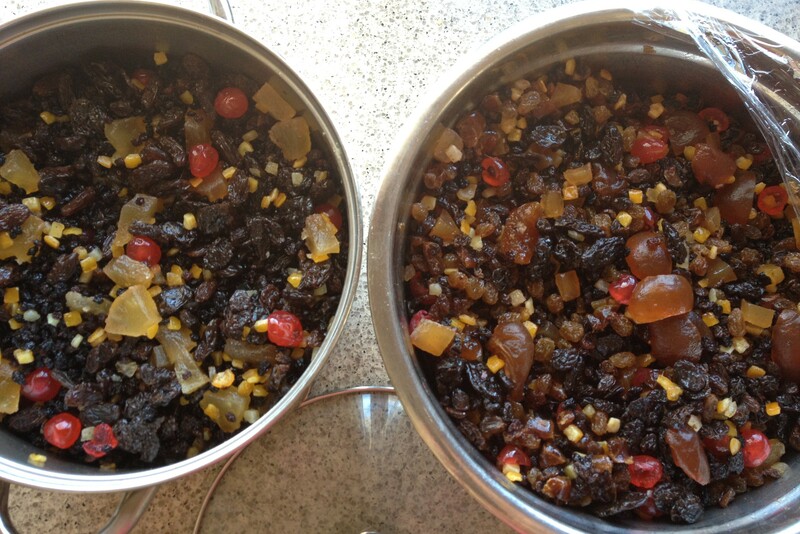 …and finally, two huge pots of dried and glace fruit (soaking in one litre of brandy), waiting for next weekend when they become Christmas cake! Lovely – make sure you show us some pics of your creation! Your kitchen is full of tantalizing aromas. 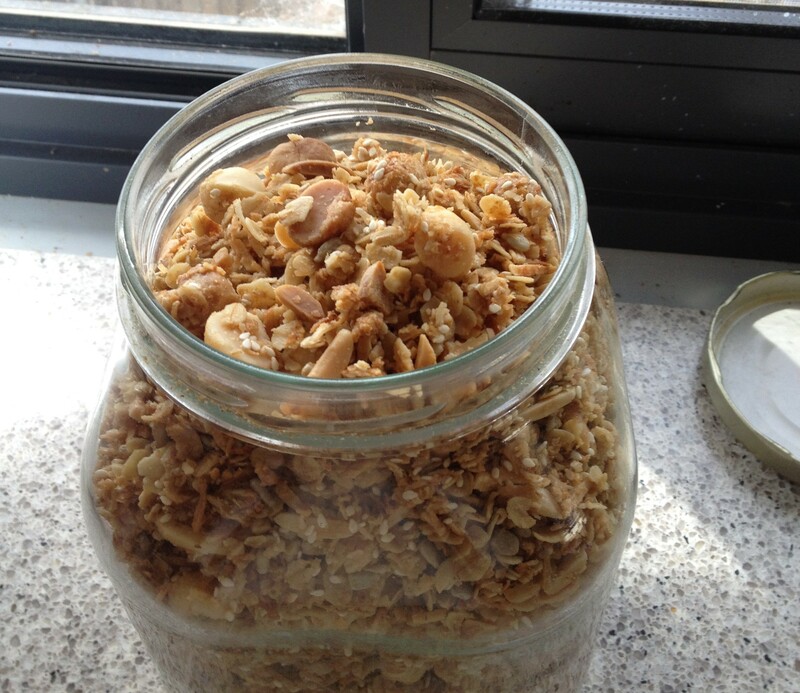 I love the dried fruit, soaking in a litre of brandy. Wow please send me a slice of “that’ cake….. Please post it early….I look forward to! 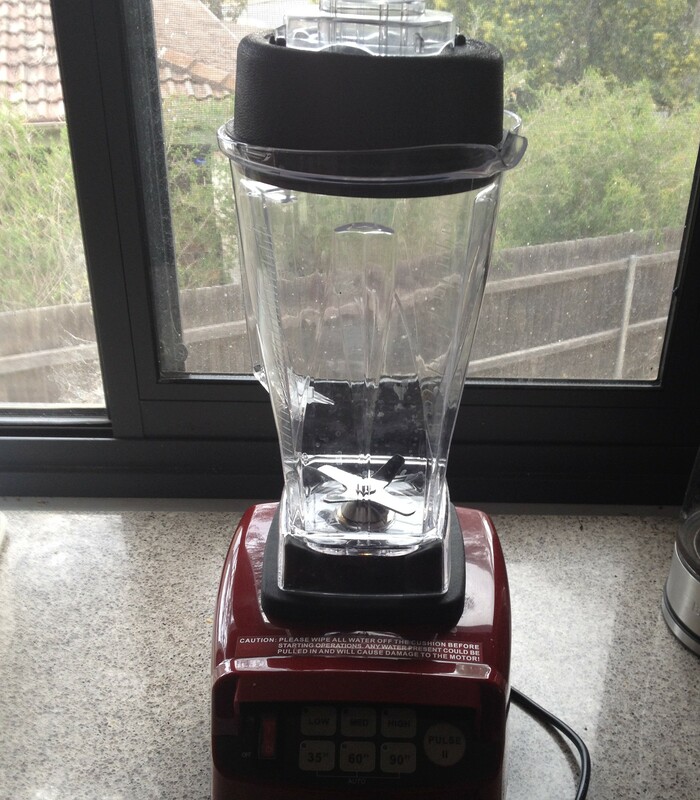 thanks Kari, yes I’m having a bit of fun with how much more power this blender has! 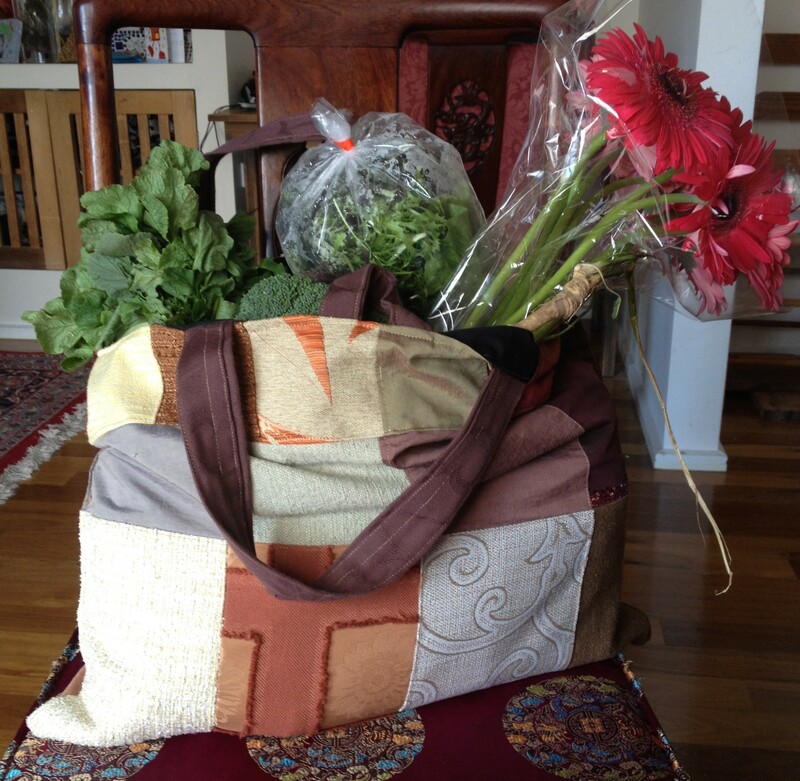 The market bag looks wonderful as does the produce in it! Muesli, fruit and yogurt are one of my favorite breakfasts. Happy Christmas baking. Christmas is sure going to be a tasty affair at your place. On elitre of brandy? Fabulous- just eat it now! 1 Litre of brandy! Wow. That’ll certainly get everyone in the Christmas spirit – literally! I’m loving the sound of that cake. Now which recipe is your lucky family having this year? All three of course 🙂 However, this fruit is for the recipe from my lovely MIL – which I will hopefully post soon! 10kg of fruit for one cake? And how many tins will that make? Only a month and a half till Christmas! 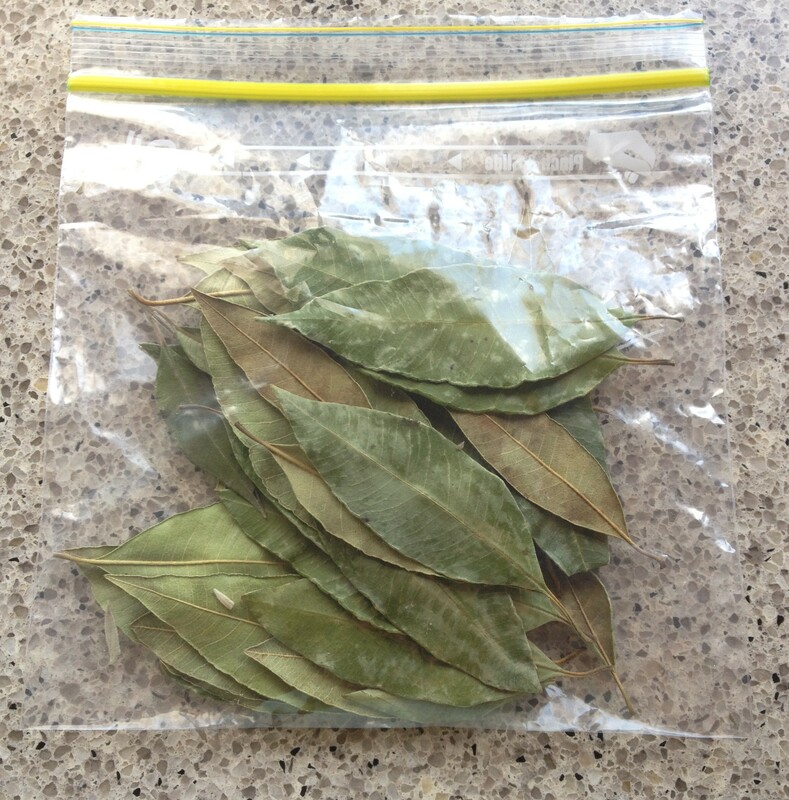 What a lovely lot of dried lemon myrtle leaves! What are you planning to do with them? Apart from tea, I’m not entirely sure…I’ve had great lemon myrtle yoghurt, so something like a lemon myrtle and honey pannacotta perhaps? I’ve got everything ready for my fruit mince for my Christmas cake in a bag by the stove, I’ve also got some dried fruit that’s been soaking in Chartreuse for two months that I think I’ll add. Do you have a recipe for your fruit or do you wing it? I love your bag, what a great size for the markets. G’day Love lemon myrtle and one cannot have too many cookbooks! Beck, love the homemade shopping bag but what really caught my eye was the Jack Monroe book – she’s such an inspiration. How are you finding the book? She’s fabulous isn’t she? I would have bought them both anyway just to support what she does! The first book was particularly interesting as a record of that period of her living on almost nothing, though some of the things she uses I wouldn’t tend to use i.e. the tinned vegetables, rinsed baked beans etc. Interestingly some of that stuff seems a lot cheaper in the UK – I think fresh ingredients would be relatively cheaper here. A few recipes I’m particularly keen to try include Baba gosht (‘cause I love eggplant); Banana, tea and chickpea curry (just because it’s such a crazy sounding combo! ); carrot and nutmeg rice pudding (carrot cake flavouring in pudding form); Xmas tree biscuits (to make with the kids); lemon and thyme semi-freddo (because yum! ); sardine rillettes (always nice to do something new with sardines); and bannocks and tattie scones. I’ll let you know how I go! love your new blender. it looks great. and how clever of you to get started on the xmas cake. i have done nothing about xmas at all! not even a list. 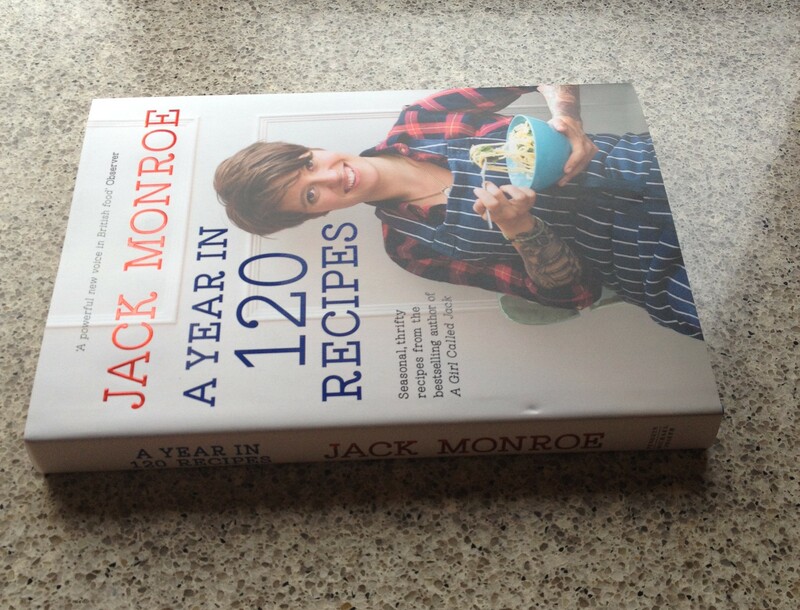 Thanks Liz, Yes it’s worth having a look at Jack Monroe’s website – a very inspiring young woman! Seeing a lot of soaking fruit in these in my kitchen posts this month!